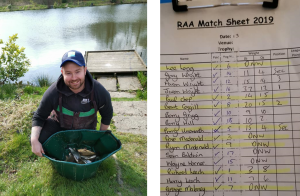 The second Senior match took place on Lake 6 at Bradshaw Hall Fisheries on Saturday 13th April. 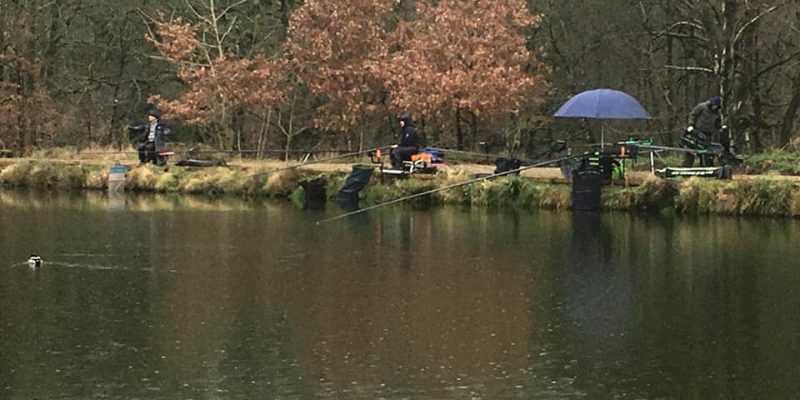 The weather had been improving over the previous few days, but a combination of the number of anglers taking part (16 out of 18 pegs used) and the cold wind meant that yet again it was going to be hard work. 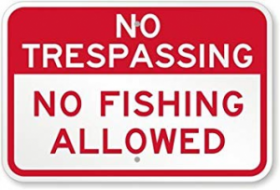 This proved to be the case, with the wind in particular playing having with fishing at distance and the cold water not conducive to the fish feeding. 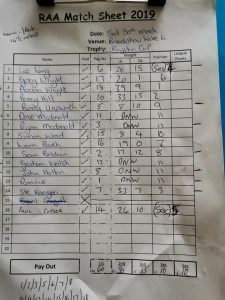 Section wins went to Gary Wright and Barry Unsworth and Paul Choppy missed out by 5oz again!!!! 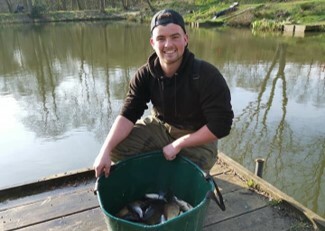 Next match is on Saturday 27th April, Bradshaw Hall Fisheries – Lake 9, which is the first League match of the season. Draw is at 9am sharp – if you are late, we will draw without you. 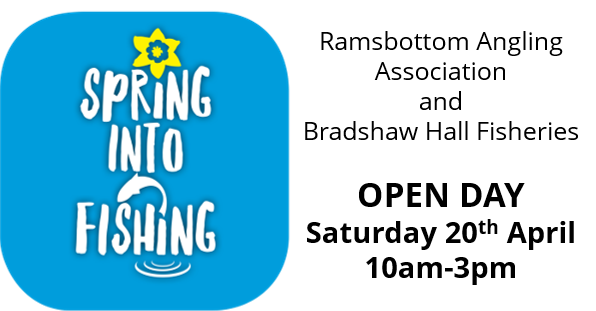 Please contact Lee on 07931 570581 to book on. 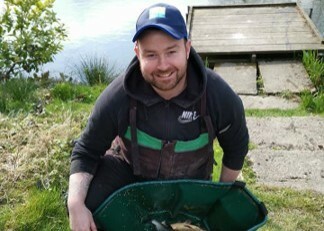 Well done to all who fished. There was a great turnout from members at the meeting – which was great to see. 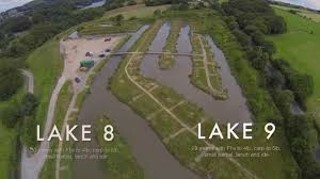 *This year’s charity match will be held on Saturday 6th July on Bradshaw Lake 9 and we have asked Allan Dye to select this year’s charity. 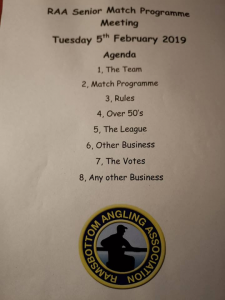 *Non members may join us on match days as guests if there are pegs available but will only be able to fish a maximum of 2 matches over the year. They will be able to join the pools but are not entitled to win any trophies. 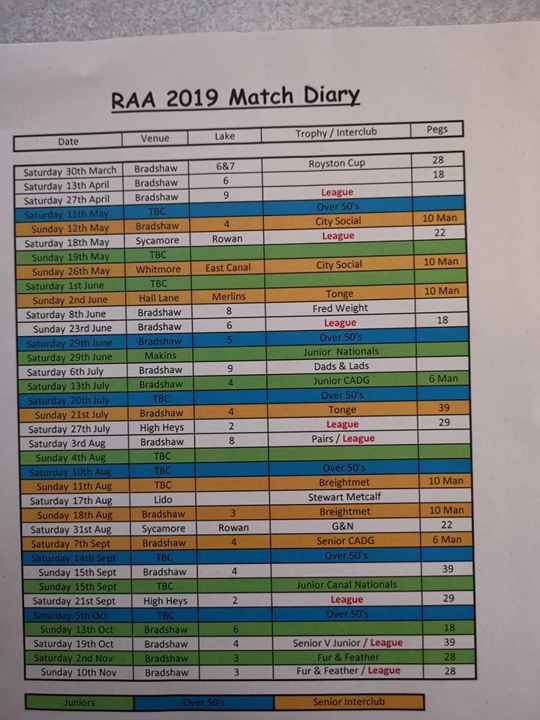 *Payout on match days will be. 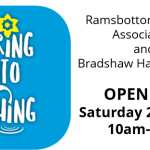 The top 3 and depending on amount of anglers sections will be put in place. *To qualify for a gift on our fur and feather match you must have participated in 2 other matches as a member through the year. 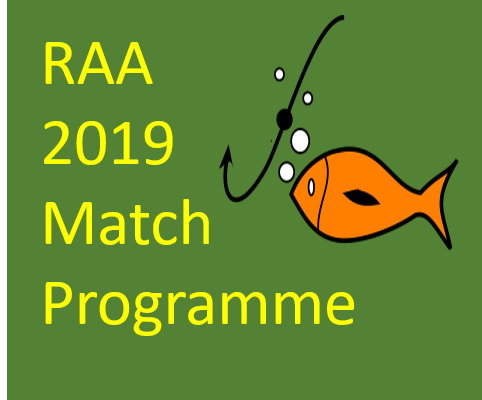 *This year there will be checks carried out by Paul and myself to make sure that you all have a valid rod licence and you have a RAA membership. 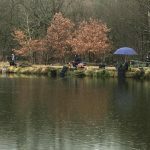 *The top 3 anglers will be asked of how they have approached the match. This is so we can pass the information to our junior coaching sessions. 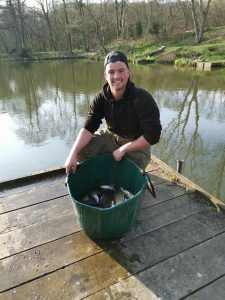 *On each match there will be a bucket placed to collect all unused baits this will then be used towards out feeding programmes on our own waters.. If anyone has any questions please don’t hesitate to contact me on 07931570581 or come and see me at our permit evening on Wednesday 27th February at Walshaw Sports Club. 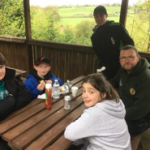 I would be great full if you could message me on 07931570581 if you are able to attend so that I have a understanding of how many will be there..